September’s schedule was crammed full of appointments, trips, and events, and as much preserving as could be fit in between. Meanwhile, there was not near enough attention paid to the garden as it deserves. Somehow, though, we ended up with a ridiculously bountiful crop of radishes. Above: French Breakfast, Cherry Belle, Shunkyo, and Japanese Long Scarlet radishes. Winter squash (delicata, spaghetti, tromboncino), filet beans, Shishito peppers, cucumbers, summer squash, radishes, cherry tomatoes, pomodorini (Aprile, piennoli appesi), kale, chard, and salad greens. Canned crushed tomatoes, tomato paste, roasted tomatoes (yellow and red), and tomato sauce; frozen ratatouille. This entry was posted in garden, preserving and tagged radishes, tomatoes. Bookmark the permalink. How beautiful! What was up with August and September? My life has also been ridiculously crazy, and I keep longing for a few days of quiet. 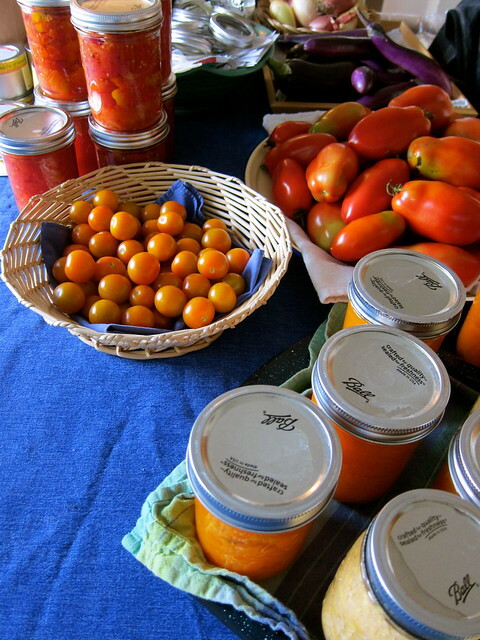 Your garden is still producing a lot, what do you do with all that radishes? Don’t think I will be getting any more eggplant. Hi, Norma! We’d overcompensated for the lack of spring radishes and really hadn’t intended to plant so many… but here we are. The radishes keep well in the fridge, and we use them stuffed into salads and sandwiches, and are delicious sautéed or roasted. We also braise them, along with the greens — we like those 2-for-1 vegetables! Wow, those really are beautiful radishes, wish I could grow some like that. I did get more radish seed planted for the fall and hope they do better in the cooler weather. Kind of happy making, aren’t they? Those are perfect radishes! I have a few fall ones planted, hope they bulb up and look half as nice as yours! 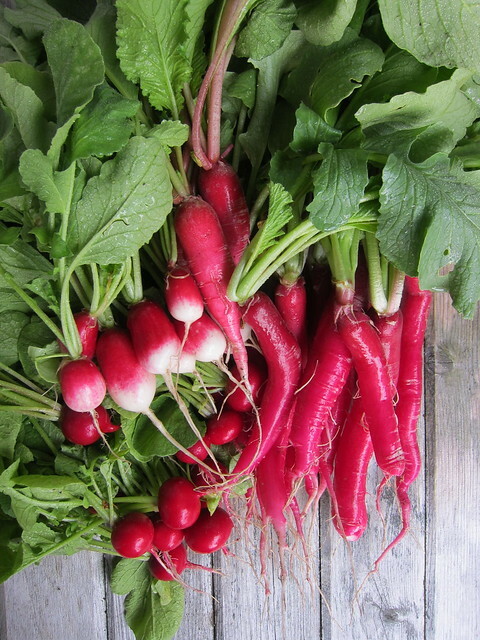 We forgot how delicious fall radishes can be, much sweeter than the ones that show up in the heat of summer! The radishes are beautiful. I too harvested radishes this week – across the globe parallels as you come into Autumn and we progress through Spring.